The fact that we haven’t had many female super-hero flicks makes WONDER WOMAN (***, 143 mins., PG-13) a novelty by itself – and within the parameters of the genre, this lavish DC Comics adventure is a sturdy and well-made fantasy that pits the Amazon Princess against the German forces of WWI…or, to be more precise, Aries, the God of War, whom Diana (Gal Godot) believes is the source of all of mankind’s horrifying military struggles. Naturally, Diana’s naivete fuels most of this “origin” movie from director Patty Jenkins, who was once slated to helm “Thor: The Dark World.” Her eventual work in the genre proves to be a far more satisfying package that nevertheless is firmly formulaic and breaks no ground in terms of how these comic book movies play out – but is a lot more likeable than, say, DC’s brainless, headache-inducing one-two punch of “Batman V Superman” and “Suicide Squad” a year ago. Most of the credit has to go to Jenkins and her work with the cast, particularly Godot, who serves up an athletic and punchy Wonder Woman who’s easy to pull for. So, too, is Chris Pine – never the most compelling big-screen leading man, Pine is much more relaxed as Steve Trevor than he’s been elsewhere, the American hero here recast as a WWI spy trying to track down German forces in the waning days of the war. Pine’s humor meshes well with Godot’s physical presence, which is stronger than her overall acting ability, and once Steve accidentally crashes on the secret island of the Amazons, he unlocks Diana’s desire to seek adventure elsewhere – as well as marks her first encounter ever with a male. Allan Heinberg’s script gives the duo ample opportunity to develop their relationship as they cross the ocean to fight the “Good War,” along with reveal the truth about Diana’s ancestral heritage. “Wonder Woman” is told in multiple “acts” – the initial third on Diana’s island paradise is engaging enough though forgettable, offering fleeting appearances by Robin Wright and Connie Nielsen that aren’t going to linger long in the memory bank. The second section, with Diana and Steve taking off for WWI, is fun but drags on for a lengthy chunk of time, making one wonder why a set-piece wasn’t brought in to break up the flagging pace. Things perk up for the (stop me if you’ve heard this before) big effects-filled climax, with everything told in a flashback-framework that gives off a bit of a “Captain America” vibe. There are also (sometimes sketchily-defined) supporting characters who aid Diana and Steve’s trek to the front lines, including Lucy Davis as Trevor’s British secretary (she has a few funny lines before disappearing), plus Saïd Taghmaoui and Ewan Bremner as skilled fighters (more or less) who serve as Steve’s pals on and off the battlefield. David Thewlis plays a prominent role as a British bureaucrat and Danny Huston essays the chief German heavy – though the film is so non-committal in terms of its “global” political perspective that it surprisingly goes out of its way to paint Germans somewhat sympathetically (outside Huston’s vile general) and offer some “modern” commentary on the war itself along the way (as Steve himself intones, “maybe we’re all wrong”). For a character conceived on the Red, White and Blue, this trendy “revisionism” of the backdrop, not to mention Wonder Woman herself, smacks of an obvious play for international box-office revenue – all the better to sell the film where most of these “tentpoles” make their money today. The result is still a film that is, by and large, quite entertaining and ultimately falls somewhere in the upper-middle of the pack in terms of its genre – between the more cookie-cutter Marvel films but a step below its truly inspired works. Given Warner/DC’s spotty track record, though, you know that’s something they’ll be content to corral with a few spins of Wonder Woman’s magic lasso. 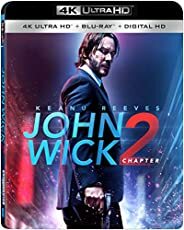 JOHN WICK – CHAPTER 2 4K Ultra HD Combo Pack (***, 122 mins., 2017, R; Lionsgate): If you are looking for two hours of pounding, bone-crunching action, this sequel to the Keanu Reeves sleeper hit delivers it in a dizzying fashion. A bigger/better sequel that’s not necessarily any more cultivated narratively than its predecessor (despite an additional half-hour running time), this follow-up finds our native gunslinger caught in the middle of an assassination plot that takes him back and forth to Rome and New York City. Along the way, “John Wick – Chapter 2″ offers one of the largest body counts in film history, plus some choice bits of humor to break up its bombastic, blazing gun battles. That said, at two full hours, director Chad Stahelski’s movie does become somewhat repetitious, and boasts precious little character development, story or dramatic engagement. It’s basically just cool, well-choreographed fight sequences strung out with a throbbing musical score – yet if you’re into it, the movie is undeniably exciting for what it is, not so much ending but rather stopping as the door is left fully ajar for Chapter 3. Definitely a way to shake the summer-movie doldrums – or clear your sinuses, provided the volume was as loud in my theater as it could be in yours! 4K Rundown: Lionsgate has delivered a spectacular UHD package with “John Wick – Chapter 2.” A movie that embraces a wide spectrum of colors to begin with, the movie was tailor-made for the benefits of HDR, which the UHD platter presents in an eye-popping blast of visuals. The standard Blu-Ray is, naturally, fine, but there is a clear benefit to the HDR enhancements and the 4K UHD is clearly a step-up in terms of resolution and color over its 1080p counterpart. Both are contained in Lionsgate’s combo pack along with a throbbing Dolby Atmos soundtrack that’s wall-to-wall active in nearly every sequence. Extras include deleted scenes and Making Of featurettes, the trailer, a commentary from Stahelski and Keanu Reeves, and a Digital HD copy. DREDD 4K Ultra HD Combo Pack (**, 96 mins., 2012, R; Lionsgate): At first I had a hard time wrapping my head around Pete Travis’ 2012 adaptation of the British comic (is “Dredd” really five years old already?). On the one hand, his “Dredd” is stylishly made, opens well, and has some exciting moments in its early stages. On the other, it basically ends up following Dredd (Karl Urban) and his psychic female rookie partner (Olivia Thirlby) down dark corridors for nearly 80 minutes thereafter, with no story and scant dramatic tension. The movie quickly transitions from a strong treatment of the comic book to a typically low-brow Lionsgate shlocker with Lena Headey’s “edgy” villainess (look, she’s got tattoos and a facial scar!) serving drugs to the residents of a futuristic tenement. The editing and camerawork from this point on are also completely routine — and after you’ve seen bullets piercing the flesh in slow-motion a few dozen times, I felt like I had seen everything “Dredd” had to offer (3D added nothing as well outside of some colorful “effects” during the drug-hallucination sequences). While the much maligned Sylvester Stallone movie may not have been a “proper” treatment of the comic book, at least it was a lot more fun with a human component in its colorful performances (not to mention Alan Silvestri’s score). It also felt a lot more “sci-fi” in scale and tone than this film, which pays scant attention to time and place outside of the gun Dredd uses. This film is relentlessly brooding and ultimately unsatisfying – though a favorite among its fans, it’s no surprise “Dredd” was a box-office bomb around the world. 4K Rundown: Fans should groove to Lionsgate’s 4K UHD presentation of “Dredd,” which ranks with the studio’s best catalog releases so far. Just by bouncing back and forth from the included 1080p Blu-Ray presentation, one can tell that “Dredd”’s HVEC encoded 2.40 UHD transfer benefits from HDR enhancement and deeper blacks. Explosions and the various “bullet effects” stand out a bit more here in 4K, though the movie’s overall visual scheme is one of dank backdrops. Viewed in the dark, especially, though, one can detect a level of detail absent from the Blu-Ray, which by itself is still very good (and Lionsgate’s BD also included a 3D presentation on the same platter). 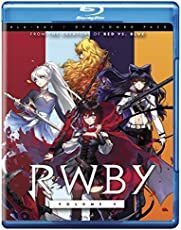 The Dolby Atmos soundtrack is a “wow” with its expertly engineered blend of effects, dialogue and brooding score, and extras carried over from the earlier release include a half-dozen featurettes, “Motion Comic” prequel and the trailer. EX MACHINA 4K Ultra HD Combo Pack (**½, 108 mins., 2014, R; Lionsgate): Alex Harland’s acclaimed film offers something of a commentary on artificial intelligence after a computer programmer (Dominhall Gleeson) wins the opportunity to interview a reclusive genius (Oscar Isaac) whose latest creation is a fetching robot automaton (Alicia Vikander). Issac’s top-secret program – naturally – has a mind of its own, which eventually causes all kinds of trouble in a movie that’s more successful for its disturbing tone than its screenplay, which concludes in a predictable manner. Still, Vikander’s creation is compelling and the questions the film raises are timely, to say the least. 4K Rundown: “Ex Machina” was released just a couple of years ago by Lionsgate in a potent 1080p Blu-Ray transfer. This 4K UHD presentation does boast more detail in certain sequences even if the movie’s glossy cinematography and dark surroundings don’t always employ the benefits of HDR. 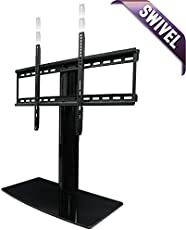 Those with larger sets, sitting up close, and in dim lighting conditions, are most likely to see an appreciable difference over the Blu-Ray. The movie’s fine soundtrack is once again presented in a DTS X presentation, though this is an often subtle mix that does not, typically, employ the entire sound field. Extras on the Blu-Ray offer a five-part examination of the picture’s production, eight behind-the-scenes vignettes, and a SXSW Q&A with the cast/crew. SNITCH 4K Ultra HD Combo Pack (***, 112 mins., 2013, PG-13; Lionsgate): Dwayne Johnson gave one of his better performances to date in the surprisingly good 2013 thriller “Snitch,” with the action star giving more of a dramatic rendering as a family man whose son ends up landing a 10 year conviction for drug possession. In order to save the day, Johnson decides to become an undercover informant for the feds and has to infiltrate a cartel as a result. Ric Woman Waugh’s “Snitch” did decently at the box-office last spring and boasts a fine supporting cast (Barry Pepper, Benjamin Bratt, Susan Sarandon) but it’s really Johnson’s show, and the star gives a strong turn in a film that demands more of him than just flexing his muscles. 4K Rundown: Another winning UHD catalog release from Lionsgate, “Snitch”’s fine details shine in its HDR-enhanced HVEC transfer (2.40). Though the film doesn’t embrace a particularly wide color gamut, the dark blacks and contrasts display enhanced benefits over the Blu-Ray release, which appears glossier and lacks the precision detail one can see from the UHD platter. The Dolby Atmos audio shines when called upon, though the differences between it and the DTS MA 5.1 Blu-Ray track did not appear to be overly noticeable when I selected certain sequences to compare. Extras carried over from the also-included Blu-Ray boast commentary from director Ric Roman Waugh and editor Jonathan Chibnall and a Making Of, plus deleted scenes and the trailer. All the Lionsgate UHD releases also come with Digital HD copies. NEXT TIME: THE LAWNMOWER MAN, additional Shout June releases and more! Until then, don’t forget to drop in on the official Aisle Seat Message Boards and direct any emails to our email address. Cheers everyone!